ACT 1 – Figaro is busy measuring the room the Count has assigned to him and his bride, and Susanna is furious about its proximity to the Count’s chambers. She tells Figaro about the nobleman’s unwelcome advances; Figaro vows to teach his master a lesson. 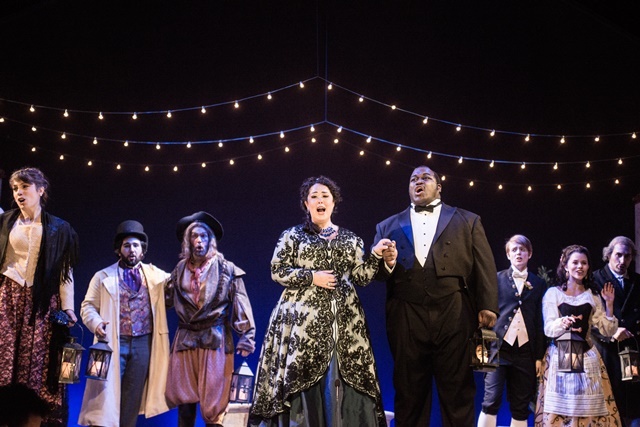 Marcellina is intent on settling the debt that Figaro owes her, and she arrives with Dr. Bartolo, whom she has engaged to represent her in that matter. Bartolo looks forward to exacting revenge on Figaro, who had thwarted his previous plans to marry Rosina (now the Countess) when she was his ward. The teenage page, Cherubino, dashes in looking for a place to hide from the Count, who has caught him alone with Barbarina, the gardener’s daughter. Cherubino has to hide when the Count arrives unexpectedly and tries to seduce Susanna. He, in turn, is interrupted by the arrival of the music teacher, Don Basilio, and also goes into hiding. When Basilio gossips to Susanna that Cherubino is much too attentive to the Countess, the infuriated Count reveals himself and accidentally uncovers the hidden Cherubino. The Count orders Cherubino to enlist in the army, and Figaro attempts to prepare the young lad for military life. 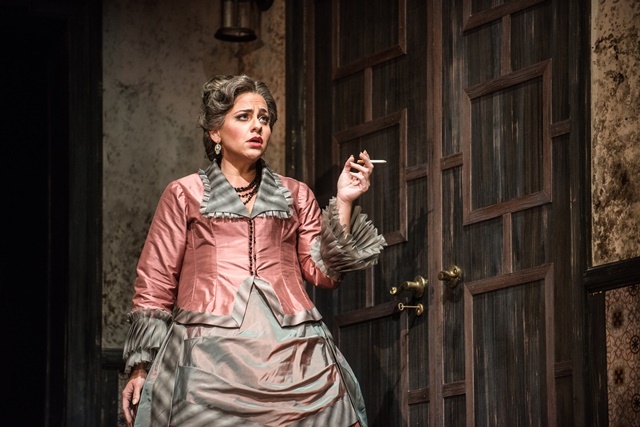 ACT 2 – The Countess Almaviva laments the loss of her husband’s affections. Figaro stops by to reveal his plot: lure the Count to a rendezvous with “Susanna”— actually Cherubino in disguise—so that the Countess may “discover” her husband’s indiscretion. Cherubino arrives to try on his disguise and the ladies listen to his newly composed love song. The Count appears and is suspicious because his wife’s closet door is locked. (It is, of course, Cherubino, once again in hiding.) The Countess refuses to open the door, so the Count locks all the other doors and exits with his wife in search of a crowbar. Susanna releases Cherubino; he escapes, and Susanna takes his place. 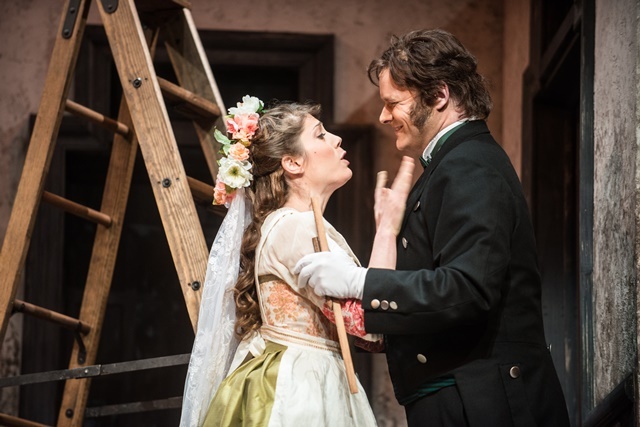 The Count and Countess return, the Countess reluctantly admits that it is Cherubino in the closet, and is (happily) dumbfounded when Susanna emerges. The drunken gardener, Antonio, arrives with a complaint: A man has just jumped from the second floor window and ruined the carnations. 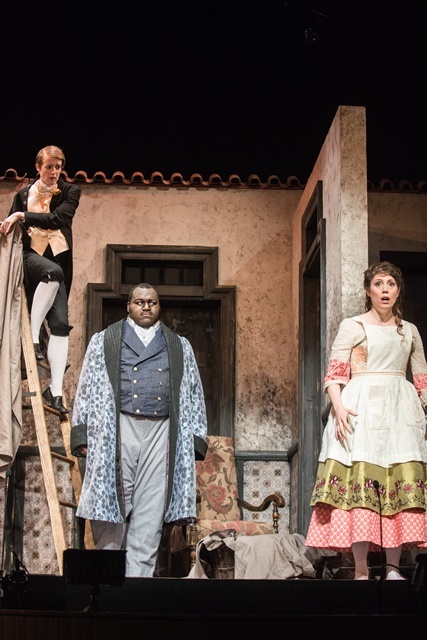 The Count’s suspicions flare up anew, and a new challenge arises as Marcellina, Bartolo and Basilio arrive to demand payment on Figaro’s debt. ACT 3 – Still hoping to entrap the Count, Susanna accepts his offer of a rendezvous. 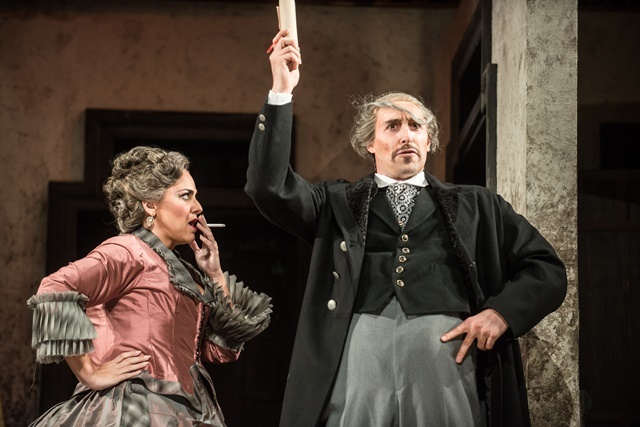 When he hears Susanna telling Figaro that they have virtually won the decision in the case of Figaro’s debt, the Count is furious and decides to force Figaro to marry Marcellina. At the trial, the Count’s verdict against Figaro is overridden when it is revealed that Marcellina and Bartolo are Figaro’s long-lost parents. The Countess has not given up hope of winning back her husband and decides that she herself will substitute for Susanna at the rendezvous. Her wedding now assured, Susanna is reluctant to go ahead with the rendezvous, but the Countess insists. They compose a letter to the Count, confirming the rendezvous for that night. They seal it with a pin, to be returned to Susanna as the Count’s confirmation. During the wedding festivities, Susanna slips the note to the Count. 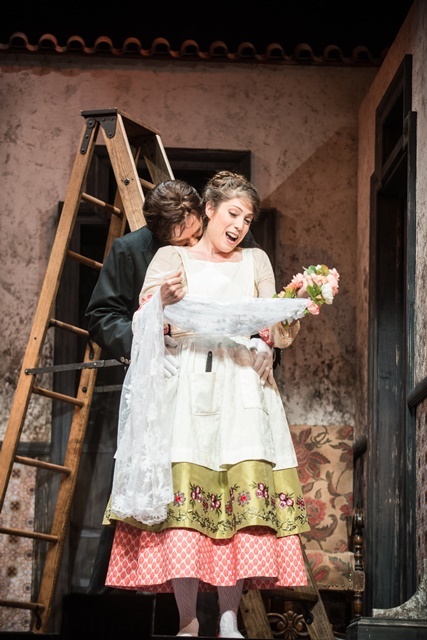 ACT 4 – In the garden that night, Figaro finds Barbarina searching for the pin she was to return to Susanna. Figaro now believes that he has been deceived and plans to confront Susanna during her rendezvous with the Count. When he realizes that Susanna and the Countess have exchanged places, he joins in the game, pretending to seduce the “Countess.” The Count makes love to “Susanna” only to find that she is really his own wife. He begs his wife’s pardon, she forgives him, Figaro and Susanna are married, and everyone joins in the celebration.